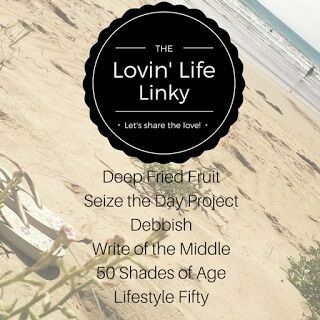 When the blogger meet-ups and tantalising food of Royal Pines Resort were over for the Australian Problogger conference, I rejoined Marty and our caravan at nearby Miami Beach. It was difficult to readjust to caravan living after the luxury of Royal Pines, but I had a secret remedy. 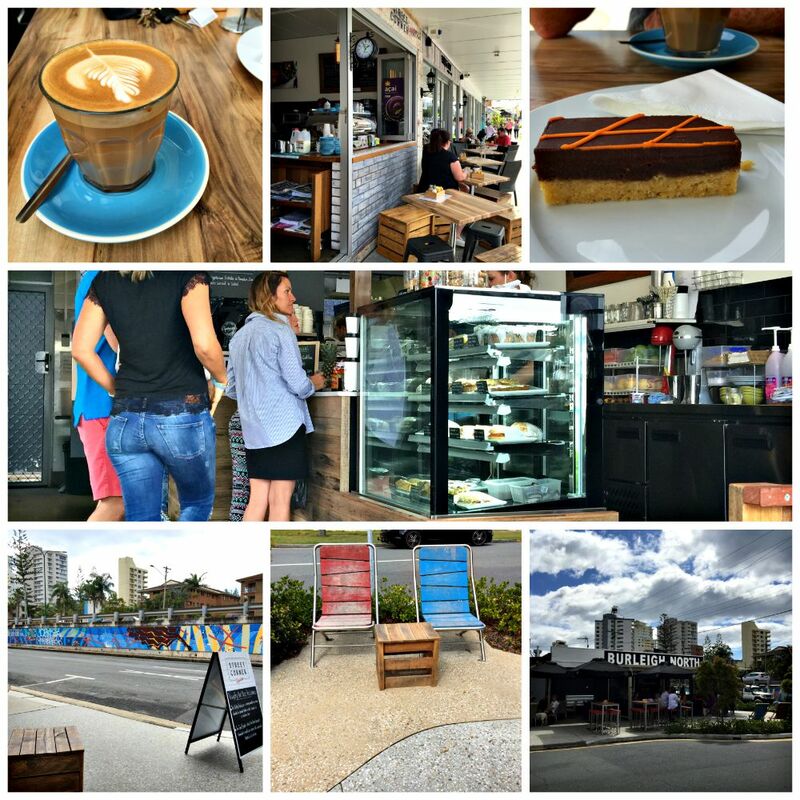 It was time to hunt down the best coffee Gold Coast Cafes and sample some coffee and cakes. Our first choice of Gold Coast Cafe was Borough Barista, where Marty was taking me to try a special cake only available on the week-end. By the time we arrived on Sunday morning they had unfortunately sold out, but Marty described it as a deep fried doughnut/muffin, coated in cinnamon sugar and filled with Jam. Evidently this rock star cake sat on the counter in un-named glory. Muff-Nut, anyone? 14 The Esplanade, Burleigh Heads. Hours 6 a.m. – 2.30 p.m.
With all the freshly baked items sold out, my gaze shifted to the fridge and a pile of take-away containers that housed some rather handsome looking salted caramel brownies. One between two of us seemed totally appropriate, after my Royal Pines indulgences and warmed up it was moist and rich with a real salt crunch. I’ve noticed that salted caramel often has no discernible salt taste at all, but this brownie lived up to it’s name. Sunday at Borough was busy, with lycra clad cyclists and dog walkers waiting for take-aways. Most of the tables were full with some interesting looking brunch boards exiting the kitchen. 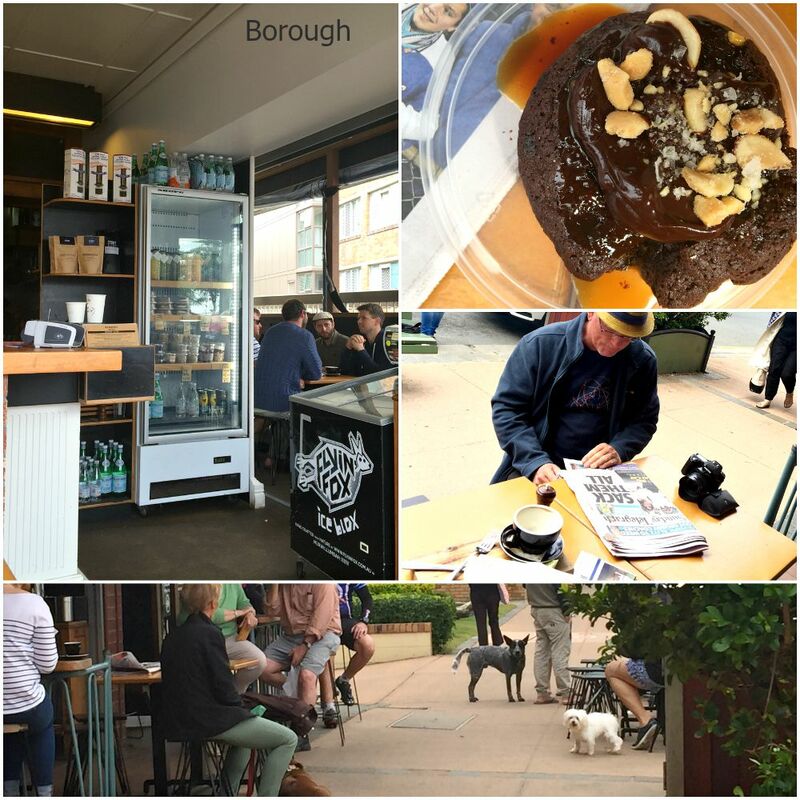 Borough Barista – a good place to start. At Burleigh Headland we met Caz* and Craig from Ytravel blog and when conversation turned to coffee and cake they pointed us in the direction of another cafe. We love getting tips from locals, so the next day found us on the lower level of the Gold Coast Highway in search of a cafe called Commune. 1844 Lower Gold Coast Highway, Burleigh Heads. Hours 6.30 – 3.00 p.m. I felt an instant attraction to this cafe. Maybe the name conjured up Hippy memories, but I loved, loved, loved the decor and the multiple choice seating areas. 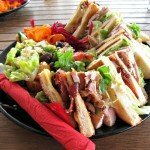 I would classify it as my favourite Gold Coast cafe. Inside was an eclectic mix of stools, chairs, tables, benches, walls plastered in posters and music that echoed the sound track from my twenties. One outdoor area overlooks highway street art while another cosies up to a creeper clad wall. We shared the mother of all muffins – as bold and eclectic as it’s surroundings. Topped by a blob of peanut butter, a raspberry and sliver of banana, the dense muffin was filled with pieces of chocolate and whole berries. Chunky goodness cooked and served old style in brown paper. p.s. Our waitress confessed that the aroma of the cooking muffins drove her crazy with anticipation. I could have communed all day and even as I write this I find myself drifting back. 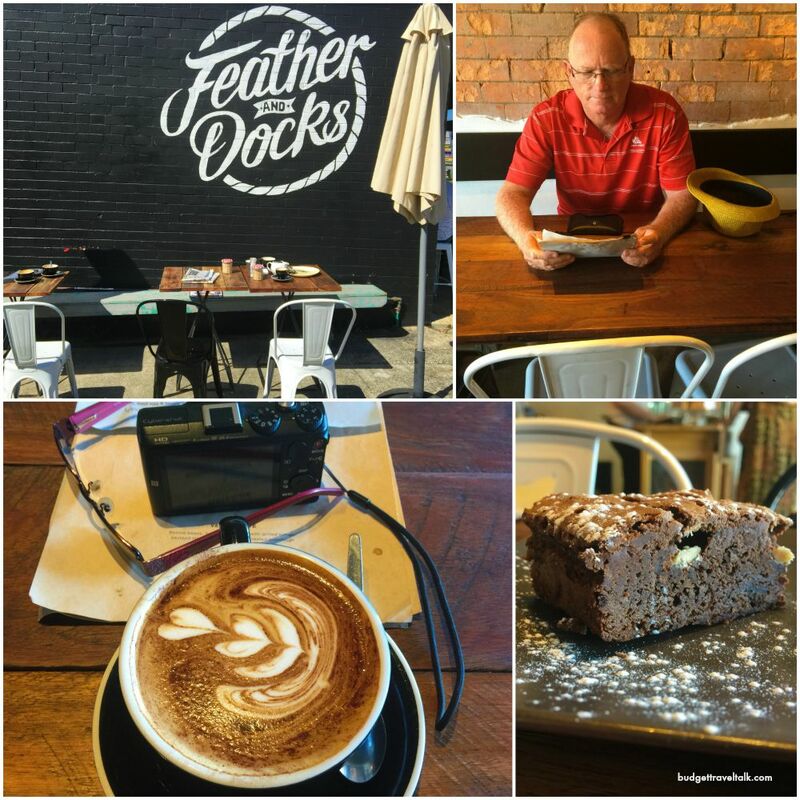 Driving toward Coolangatta from Burleigh with Marty at the wheel, I spotted a grey brick wall with a stand-out Feather and Docks logo in white. Beneath it were a couple of tables and chairs and a guy soaking up the sun, while out front were benches, chairs and more people. We parked out the back. 1099 Gold Coast Highway, Palm Beach. Hours 5.30 a.m. – 3 p.m. Weekdays 5.30 – 12.00 p.m. Weekends. No Longer Feather and Docks – now Mr Bengal Cafe. 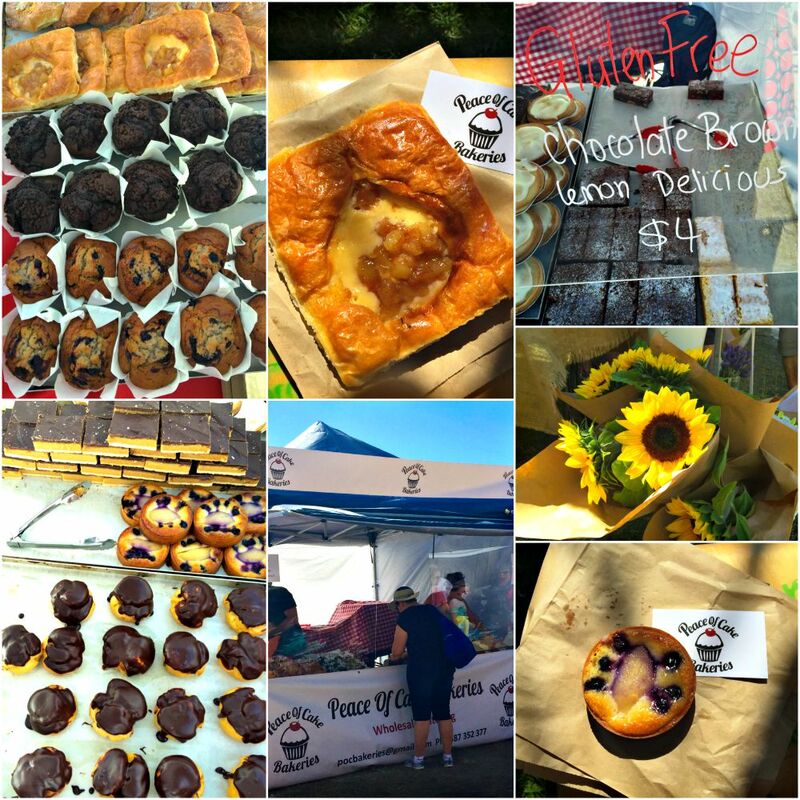 At the southern end of the Gold Coast we arrived at Coolangatta Beach front, which on that Sunday in August was hosting the Arts and Craft Market. Right there in the middle of the market we found Peace of Cake. Strictly speaking Peace of Cake is not a Cafe, but their cakes belong in one. We had merely been browsing in the market until we found this stall. I could tell by the display, that pastry chefs and partners Aaron and Anne-Marie loved their art. My browsing ceased the minute I saw the Pear and Blueberry tart. I’ve been a tart freak my whole life and have only tasted one other as good. NOW SPECIALISING IN DONUTS AND CRONUTS!!! 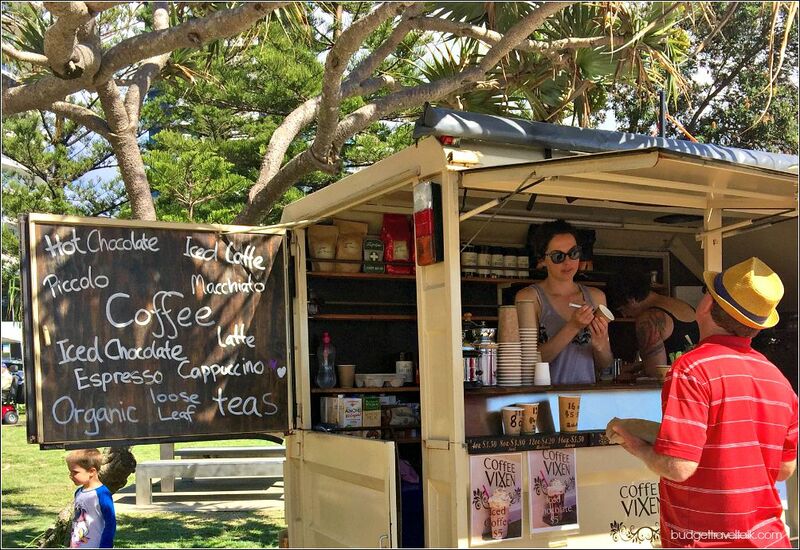 Coffee Vixen’s cart was obligingly close by so we got our usual, and sat beneath the Pandanus, sipping and feasting. Next was a l.o.n.g. beach walk. 18 Christine Avenue, Miami. Hours 7 a.m. – 2.30 p.m. Weekdays. We drove past this cafe the first day we arrived at Miami Beach. 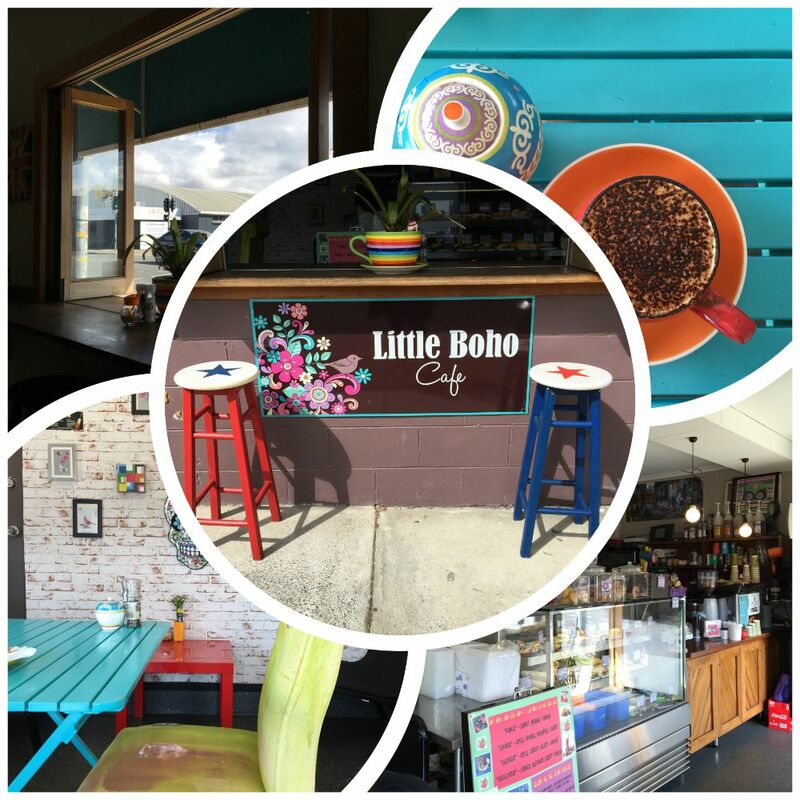 Our GPS took us down the seemingly never ending Christine Ave and a block before it joined the Gold Coast Highway, I spied Little Boho. It was closing up that day, but I made a mental note to return. Little Boho’s crazy mix of colours in both decor and crockery is very inviting. Like the name suggests the interior is tiny and there’s a dinky courtyard too, but I suspect a lot of their trade comes from filling orders for nearby workers. I fancied the look of some of the savoury options on display, but nothing caught my eye in the sweets department until I spotted the muffins on the counter. It seemed like Muffins were our Gold Coast destiny. Little Boho’s were as delicate as Commune’s were robust. 1,1840 Lower Gold Coast Highway, Burleigh Heads. Hours 6 a.m. – 2 p.m.
Street Corner Espresso is in the same block as Commune, with one outdoor area facing the colourful highway and another on the wide side street footpath. I was swayed by price and ordered the Special of a coffee and a Choc/Orange slice, but probably should have ignored my budget instincts and gone with my first choice. I liked the look and feel of this place and if I lived within cooee I’d be back on the Street Corner in a flash. Good Coffees as usual. The best part about this area is the coastal Headland beyond which lies Burleigh Head National Park. The Sunday evening we were there, the grassy headland overflowed with people, six packs/cartons, cheese platters and picnics. I wondered if we were about to witness some special celestial event, but it was just a normal Sunday. 43 Goodwin Terrace, Burleigh Heads. Hours 6 a.m. – 4.30 p.m. Weekdays 6 a.m. – 5.00 p.m. Weekends. 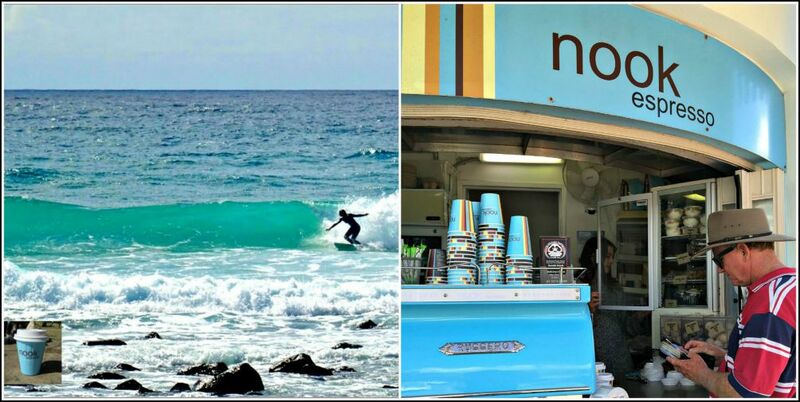 You will find Nook, a hole in the wall, right on the waterfront at Burleigh Headland, by it’s steady stream of customers. 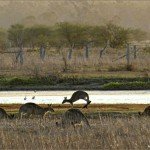 It is perfectly positioned for walks along the foreshore or for when leaving the beach is just too much effort. Service is surprisingly fast with snacks packed ready to go. The coffee is good, the muffins tender and the view unbeatable. These guys are devoted. Mid June 2018 and they are in the same position but operating out of half a donga (transportable office). Now that’s dedication. The Coffee hasn’t suffered! We enjoyed each of the seven cafes we visited. 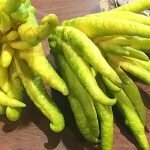 There were more that caught our attention and we will be trying them next time. 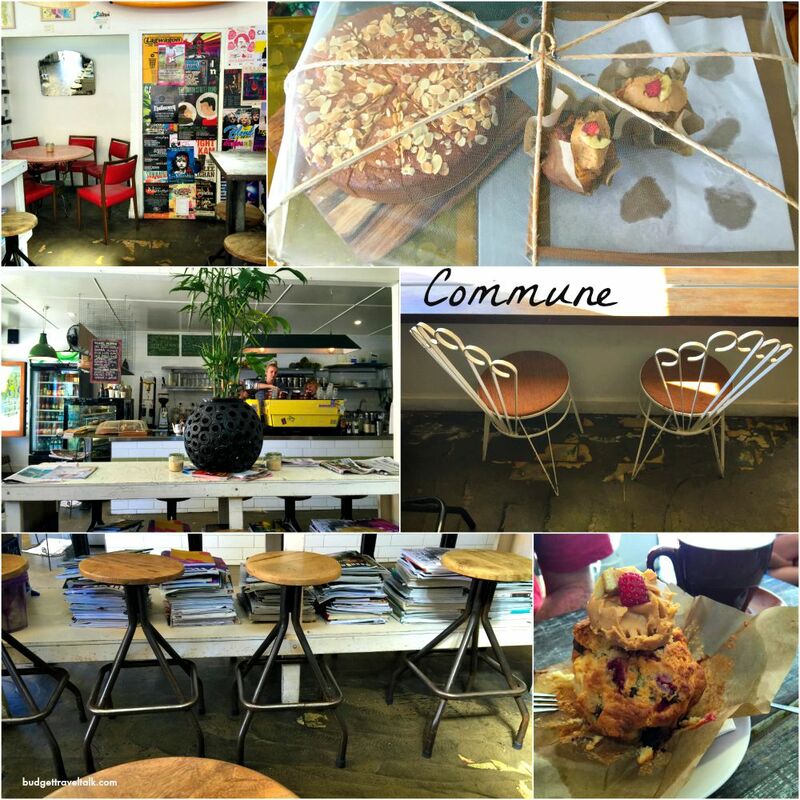 My favourite Cafe this time around was Commune. Marty’s favourite was Borough Barista for their coffee and fresh baked cake. Burleigh Heads is situated mid-way between Surfers Paradise and Coolangatta on the Gold Coast of Queensland. The cost of 1 large coffee, 1 small coffee and 1 cake, ranged from $11 to $14 AUD. While you’re here leave your favourite coffee and cake suggestions in the comments. 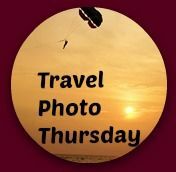 I’ve linked to Nancie at Budget Travelers Sandbox for Travel Photo Thursday. My mouth is watering. The Muff-nut sounds extremely yummy. I love the way you’re allowed to have your dogs with you at cafes on the Gold Coast. Burleigh in particular! I know Pinky, Townsville is a bit behind in that regard. 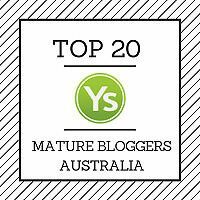 I love the cafe scene and you have dished up some fabulous cafes to sit and sip and chat at. It is nice to indulge when on holidays Jill! Oh my goodness! You have just taken me on a tour of all of my favourite coffee shops, except the one in Palm Beach! Commune and Street Corner Espresso are just a hop, step and a jump from where I live and Nook is where my son’s girlfriend works part-time. Also Borough is where I do coffee with my girlfriends every Saturday morning. Great post Jan! 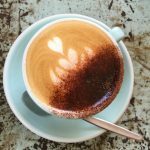 I’m seriously impressed with your attention to coffee and cake detail and realise that it was all in the name of research 😉 Burleigh Heads sounds like a great place to wander and sip and munch. Beam me up Scotty! Marty loves Cafes and I have jumped on board too! I hear you Linda, but we shared a cake each day and didn’t have sugar in our coffee. However I am eating healthily at the moment to make up for it! You’re lucky to be so close Toni. I can’t wait to try some other Cafes we saw. You shall have to try the Muff-nuts at Borough! Yes, I’ve been thinking about cake since I wrote this post too, but I can’t as I am eating healthily at the moment. Damn. So many wonderful cafes, so many tempting cakes and pastries. How did you only chose one cake to try! There’s certainly many cafes to choose from. Now to get to the Gold Coast! Hi Jenny. I tried to share a cake when it was big enough because I had been very indulgent of late. I know that is what holidays are about, but on the back of three months in Europe and the Royal Pines extravaganza I was trying to cut back lol. But in some cases like Feather and Docks and Peace of Cake, we sampled more. You’ve been living it up in Tassie I see! Ha ha, I’m watching my weight at the moment too Jackie. Our 3 weeks on the Gold Coast trip came on the back of 3 months in Europe. Too many cakes! 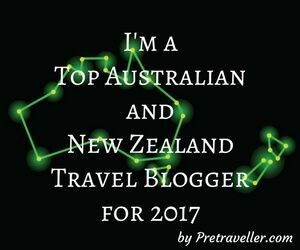 I was at Problogger too! I didn’t see outside of Royal Pines unfortunately, flying straight back to Melbourne one the conference had finished. 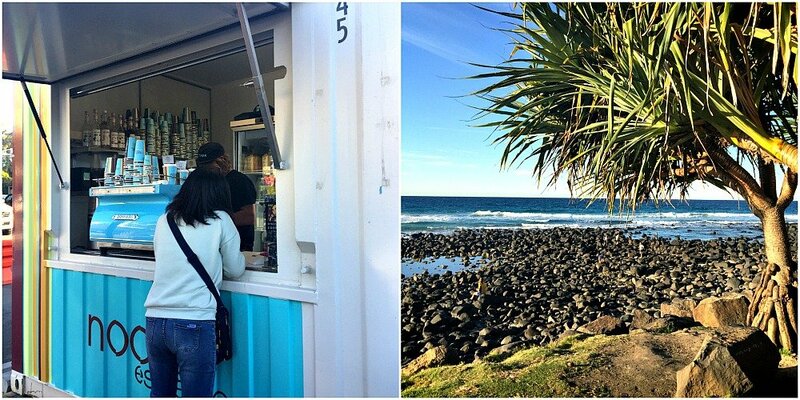 Looks like I missed out on some yummy Gold Coast treats. Will have to explore more next time! 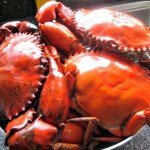 Hi Jolene, Problogger and Royal Pines were awesome weren’t they? We were lucky to have another week on the Coast. We hadn’t been there for 20 years and we loved it. What a bunch of great places! I love towns with a wide variety of cafes full of couches and comfy chairs. It is great to have a place to wind down after sightseeing or walking around town for hours. Plus, it is a great time to meet locals and get recommendations. I wonder how much the Friends TV show influenced coffee shops worldwide? Totally tasty. The special cake at Borough Barista was enough to get my attention, and then I was glued to the screen for the rest of the treats. How cool to be able to meet up with Caz and Craig. I would trust their advice on cafes, too. Burleigh Heads is quite a small community although it does get a lot of visitors most people end up on the headland. I’m sure glad Caz and Craig told us about Commune because I don’t think we would have found it on our own in the short time we had there. Oh Jan, All of them look fantastic. Now I’m hungry. I guess I’ll go have breakfast! 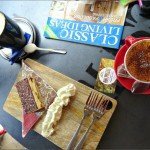 I quite like the idea of dedicating 7 days to exploring cafes, and I’m impressed that you were able to visit so many of them. Everything looks and sounds so delicious that it’s a good thing I’m eating a slice of cake while reading this. The so-called Muff-Nut has me dreaming now. It was lovely Michele, but now I am watching what I’m eating because over the last 3 months in Europe and 3 weeks on the Gold Coast I put on a coupe of kilos! Some great looking cafes here! I made the mistake on the Sunday after Problogger of starting from Broadbeach and walking north along the beach to Surfers Paradise. By the time I got to Surfers, I was desperate for coffee, but there seemed to be slim pickings of cool cafes there. I should have walked south to Burleigh Heads!